For more than 100-years car lovers across Southern California have pilgrimaged to the Los Angeles Auto Show for their annual feast of the automotive senses. But there is much more to the LA Auto Show than what we car-lovers come to drool over each year. What used to be known as the LA Auto Show Press Days has spun into an event that attracts both automotive and technology industry leaders and innovators alike. 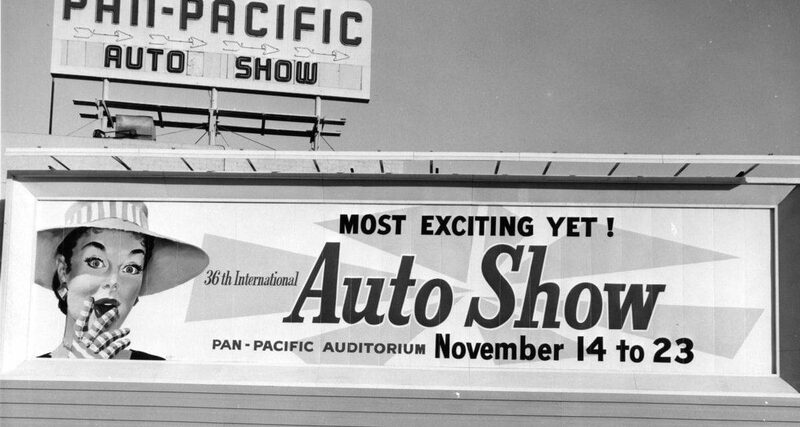 Lefty Tsironis, of the LA Auto Show, joins us for this iDriveSoCal Podcast to share details of the LA Auto Show history, its future and the mobility evolution being hotly discussed and shaped by AutoMobility LA. 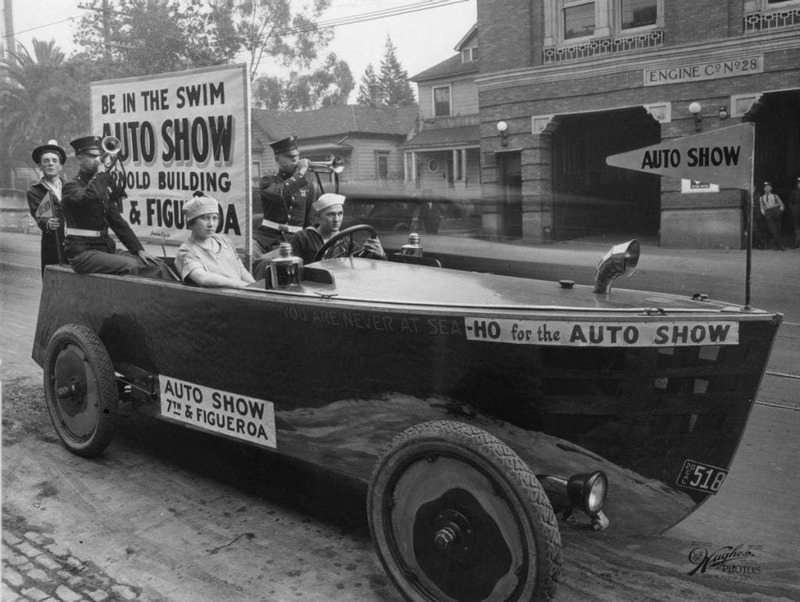 Click play, below, to listen and check out the super-cool historical pics Courtesy of Los Angeles Auto Show Archives. Lefty Tsironis: We’re at an epicenter of convergence here in Los Angeles. From an automotive and transportation standpoint, you have an incredible infrastructure, which brings along with it challenges and opportunities. Beyond that, the talent is here, and the innovation is happening here. We have the right ingredients for the right minestrone for mobility. It really has propelled the show to become an epicenter for not just unveiling really wonderful sheet metal, but also unveiling technology and other solutions. Tom Smith: Welcome to iDriveSoCal, The Podcast, all about mobility from the automotive capital of the United States, Southern California. Tom Smith, here, and I’m excited today, because I am at the LA Auto Show headquarters, the office, downtown Los Angeles, and joining me is Lefty Tsironis. Lefty Tsironis: You got it. Tom Smith: I got it right? Lefty Tsironis: You got it right. Tom Smith: Awesome. Lefty Tsironis is definitely, it is, that’s a common a name as Tom Smith. Totally right on the same plane. Lefty, thank you for joining me. Lefty Tsironis: Thanks for being here. Tom Smith: I forgot to ask, what is your official title here at the auto show? Lefty Tsironis: Director of experiential marketing and communications for the show. Tom Smith: Perfect. Thank you again for joining me. Lefty Tsironis: I mean, we don’t have the snow. Tom Smith: Right. There are so many things that I could talk and it sounds like our little pre… before we turn the recorder on here, it sounds like you and I could talk about this for hours, but we’ll have to condense it a little bit, here. Tom Smith: For the iDriveSoCal Podcast. 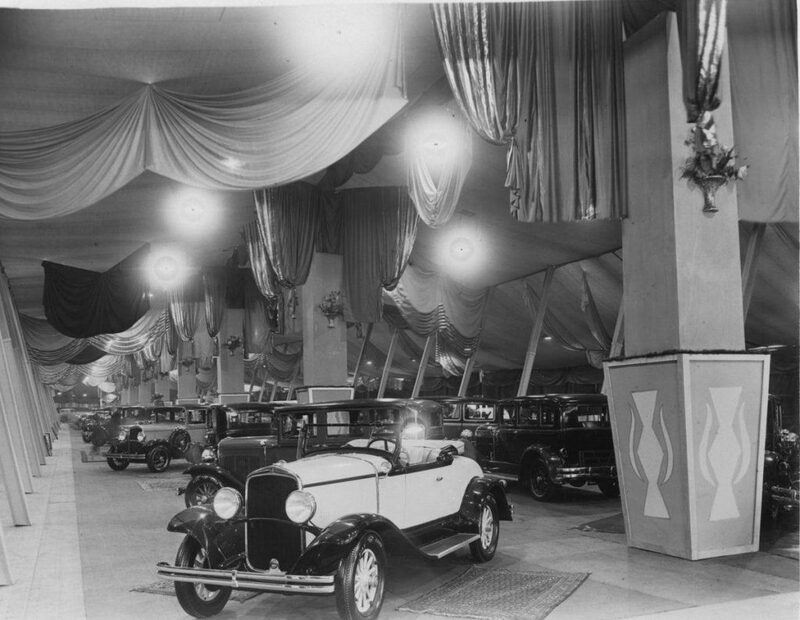 First off, let’s talk history of the LA Auto Show, kind of just big picture summarization, and then we’ll dive into various nooks and cranny’s from there. Lefty Tsironis: Yeah. Absolutely. The show was founded in 1907. Actually, it was held at a skating rink, here in Los Angeles. Tom Smith: A skating rink? Lefty Tsironis: And you know the number of technological sort of advancements, in terms of powertrains, and you know mass production and whatnot, and the introduction of European models after World War II. Lefty Tsironis: You know, you need more space. It’s always been a challenge. Lefty Tsironis: The Convention Center, we’re kind of space even today. We fill it up, about a million square feet with all the activations that happen inside and outside of the show. Notable sort of historical moments where the fire of ’29 that happened on Hill and Washington here in downtown Los Angeles. Tom Smith: I don’t know about that, can you expand on that a little bit? Lefty Tsironis: So there was an electrical fire, and the entire show burned down. Lefty Tsironis: They were setting up. Tom Smith: They were setting up, and it was set, and one of the planes caught fire. 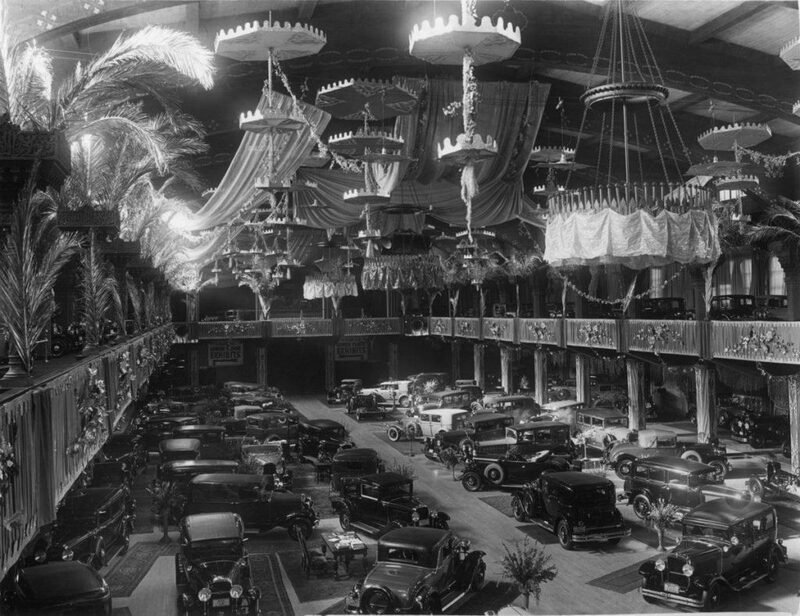 Lefty Tsironis: There was an electrical fire in one of those exhibits, and it burned down the show, and so literally a few days later they were down at the Shrine Auditorium by USC, and they held the auto show. Tom Smith: Oh, so the show went on? Lefty Tsironis: The show went on. Lefty Tsironis: The show went on. But I think it’s really interesting, and the irony there is you say you’re from Chicago, right? Tom Smith: The Kennedy’s used to own it. Lefty Tsironis: Yeah. Absolutely. Chris Kennedy was our president at the time. Lefty Tsironis: Yeah. At the company, and so I worked for their LA subsidiary in New York as well, and that is the current location of the LA Mart, which is the Merchandise Mart’s property, or used to be here in downtown Los Angeles. Lefty Tsironis: Back in 1929. Tom Smith: A little connectivity there. Lefty Tsironis: A little connectivity, not the way that we talk about connectivity today. Lefty Tsironis: But it’s very different. 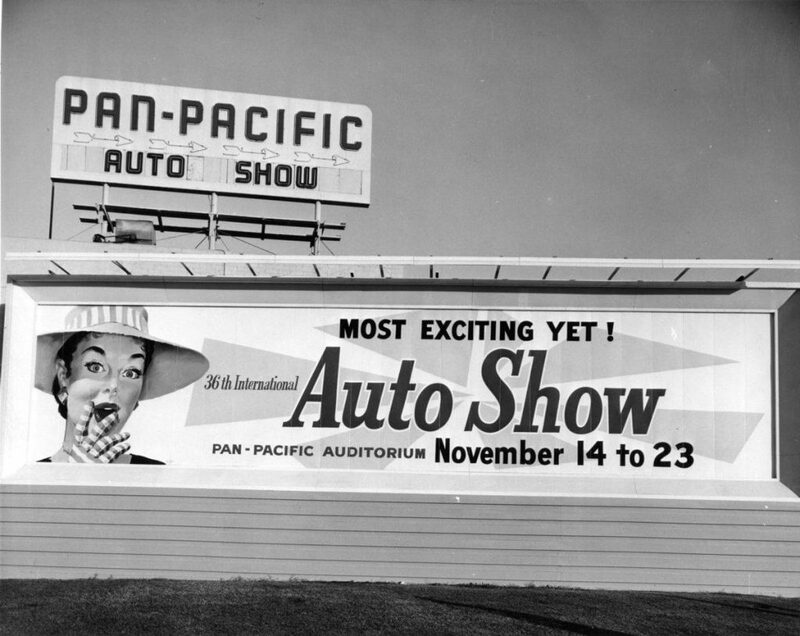 It’s been at the Pan-Pacific Auditorium, and in other locations, and it’s exciting now that we’re bursting at the seams. We’ve introduced a whole technology pavilion right outside of the Convention Center. Adding thousands of square feet of auto tech exhibits during AutoMobility LA, which is sort of the new name of the trade show of the LA Auto Show. It takes place right before the consumers get to see all that stuff. Tom Smith: AutoMobility, is that open to the consumers at all? It’s more industry-focused, right? Lefty Tsironis: Because there’s so much technological revolutions and disruptions that are happening right now within the industry that there needed to be a conversation on a formal stage, so that not only investors and analysts can get insights, but that the media can come in and cover it, and figure out what’s happening next, and consumers want to know, so that evolved over the course of a few years into becoming a bigger and bigger event, and so we took that conference, and exhibit showcase, and merged it with the Los Angeles Auto Show’s press days to create a singular event known as AutoMobility LA. Tom Smith: In just a second, but AutoMobility LA I think more and more consumers are becoming aware of that phrase. To the general consumer what that means. Or, what that illustrates is really the importance of Southern California, the automotive capital of the United States, as well as the automotive capital of the world, and the importance of the LA Auto Show to the global automotive industry. Tom Smith: With that segue, can we talk about that a little bit? It’s a year-long job, because it’s a year-long job for a lot of people, because of the importance, and the significance of this show, and this region right here. Kind of a big chunk to chew on, but- take it away. I trust you can handle this one. Lefty Tsironis: Beyond that, the talent is here. And the innovation is happening here in this state. Lefty Tsironis: That are innovating, creating the future of how we’re going to get from point A to B.
Lefty Tsironis: The automaker design studio. Lefty Tsironis: I actually think I saw that the other day, but we have design studios not only here in Southern California, but also up north. And so our show is proximate not only to Silicon Beach, and a lot of the startups that are coming into the fold from a mobility standpoint, but also Silicon Valley up north. Lefty Tsironis: And from Asia. The other really great thing about why LA’s kind of rising in terms of significance is because we’re at a crossroad. 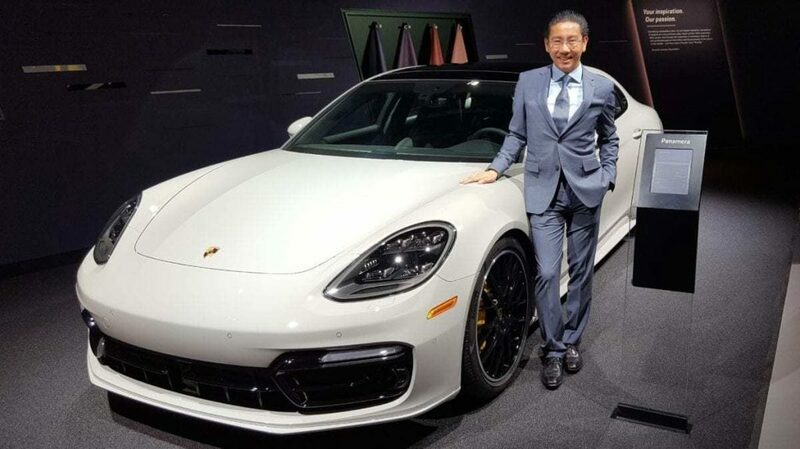 We’re really Switzerland when it comes to it being territory that an automaker from the United States… Again, Asia, and Europe, and beyond can actually come here and unveil new products. Test them, give experiences for consumers, and for the media. Lefty Tsironis: Here in Southern California. Lefty Tsironis: Yeah. Hot rods. I mean Whittier Boulevard, you know, became a low rider sort of experience. For several years you had racing that that was going on up in the hills, and the foothills of Pasadena, so there’s a lot of legacy and history here in Southern California from that standpoint. Lefty Tsironis: It really has propelled the show to become an epicenter for not just unveiling really wonderful sheet metal, but also unveiling technology and other solutions. Tom Smith: The show is, if I’m remembering right, it’s two weekends, it starts one weekend and ends another weekend, but it’s that whole week in between, am I remembering right, or is it two weeks? 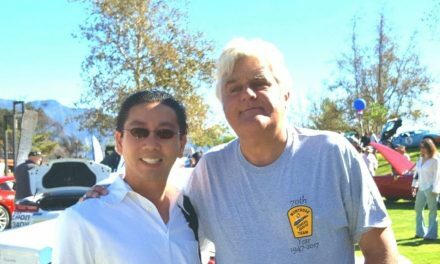 Lefty Tsironis: For the media and industry professionals, and then you have the Los Angeles Auto Show, which consumers can attend over the course of 10 days. Lefty Tsironis: It kicks off on a Friday, this year it’s going to be kicked off on November 30th, and it’s going to go on until December 9th. Tom Smith: Now, a few years back it moved. Right? By a handful of weeks. Tom Smith: Gosh, was it that long ago, already? Lefty Tsironis: About a dozen years ago, that was one of the pivotal moments actually that helped put Los Angeles in the right trajectory to be able to position it from a regional sort of show into more so of an international gathering, because it used to be in January. 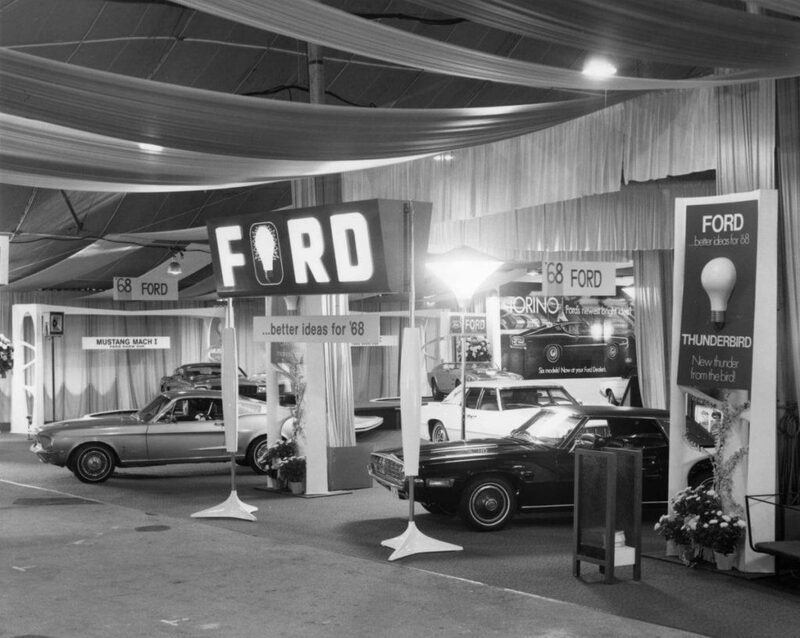 Tom Smith: Because it kind of kicks off the auto show season. 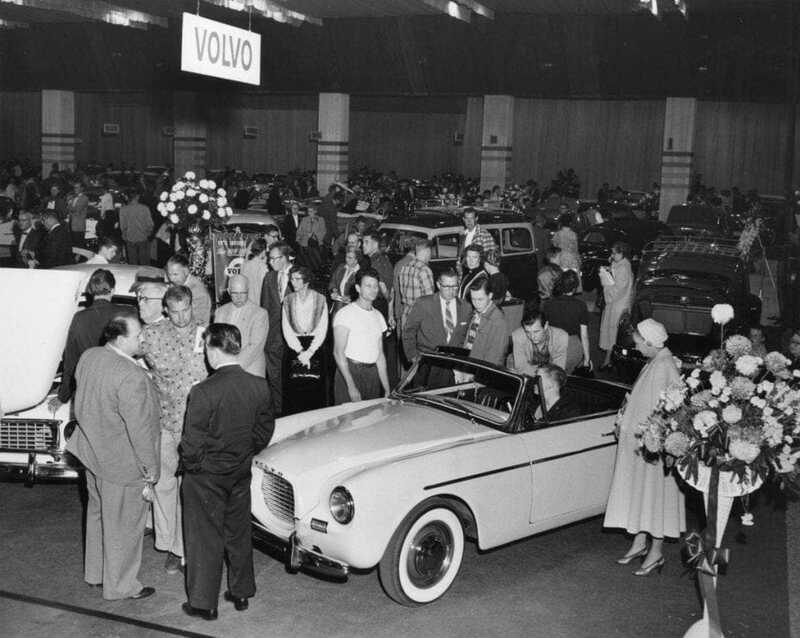 Lefty Tsironis: Our first tentpole of the auto show season. Lefty Tsironis: It’s just the right time for the following years’ models to start making their debut, and it doesn’t interfere at all with Detroit or any other show. It happens now right before CES. So, automakers, technology companies, and others love to bring something here. And, they continue to tell that story over at CES, and at Mobile World Congress, and other technology and automotive gatherings over the course of the year. So that really helped shape things for us. Here we are where in the past five years we introduced Connected Car Expo, and now it’s merged into becoming AutoMobility LA. And if you look back from, I don’t know before, 2006 to where we are now you’ve gone literally from up to 25,000 attendees over the course of those four days. Lefty Tsironis: For AutoMobility LA where the vehicle debuts happen, where our conference happens, where several different competitions are happening. To cater and really take advantage of the fact that we’re in Los Angeles. We have design competition that’s been going on for several years. We’ve been bringing technology companies into the fold to conceptualize what the heck will the future look like. Lefty Tsironis: Last year, Microsoft actually underwrote the competition, which is really great. Companies explored what will Los Angeles look like in the year 2060, and how will people get around? How will people experience hosting the worlds largest sporting event at that time? Lefty Tsironis: What will that look like? How will humans and machines interact with one another? How will they interact with venues? This is the exciting stuff because we all think it’s super, down in the future, maybe 2060, but stuff is happening a lot quicker than we ever imagined. And, and that’s why we wanted to provide a stage for the new automotive industry, as well as the established automotive industry. To collaborate, share insights, and really present and unveil what the future of transportation is like. As well as, here’s what’s available right now. It’s really changed a significant amount, this is why it’s a year-round position. We’re touring the world, we’re meeting with stakeholders. We’re talking about; how do we increase engagement? How do we unveil this creatively? Because you can’t just pull sheets off of things anymore, that’s not enough. The cool thing for consumers is, and just fans of brands and technophiles, and whatnot, you could still stay engaged with the power of social media. We have those platforms, we actually have a podcast of our own, AutoMobility LA Podcast where people can listen in and gain insights into this stuff. And obviously, witness it all through the power of social media. You can really take part in this, and not just wait to see it in your dealership. Lefty Tsironis: The great thing is we’re still the number one sort of consumer market here in the United States. So people want to touch, they want to feel, they want to get in the cars. They want to see what they can do, and what those cars can do for them. You know? Tom Smith: I want to take a step back just a little bit. Tom Smith: We mentioned that LA is the first tentpole of auto show season. Tom Smith: For iDriveSoCal listeners, obviously we’re always talking about various auto shows be it anything as small as startup Cars and Coffee kind of thing, or museums. 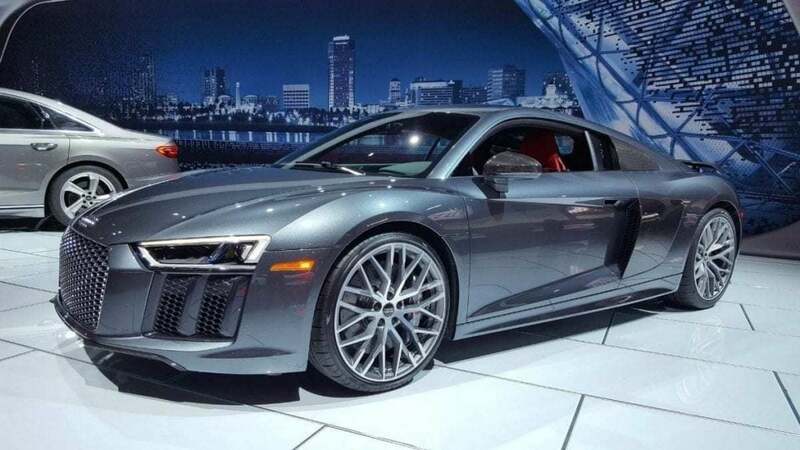 But this is the new franchise original equipment manufacturer auto show season that we’re talking about. 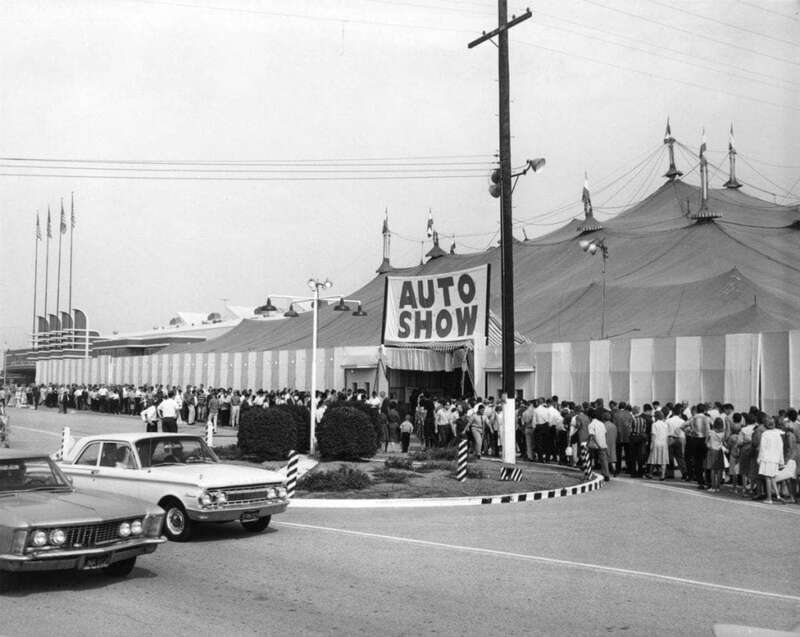 And Lefty’s job, as a leader of the LA Auto Show, takes him to the other tent poles. I want to talk just a little bit about those, the other shows that you go to, and what you get out of them, and what you bring back from them. Lefty Tsironis: Yeah. Absolutely. For us, we go for immediate feedback. Because literally, the season kicks off right after our show. We’re recapping our event, and we’re actually getting insights. Lefty Tsironis: But more than anything it’s face time because when our stakeholders are at our event they’re making their launches happen. They’re networking, and they’re doing business. It’s a bit more relaxed, and a better opportunity for us to engage with those stakeholders at the following events. There’s a different flavor of the type of attendee that might go to a CES for example, CES has a flavor of automotive, but it’s a technology show. Lefty Tsironis: We’re an automotive event, with technology as opposed to a technology event with automotive. You just get to meet new partners at that point in time and have face time with new types of journalists, and it’s really fantastic to see how everyone has their own sort of core competencies and sort of focal points. 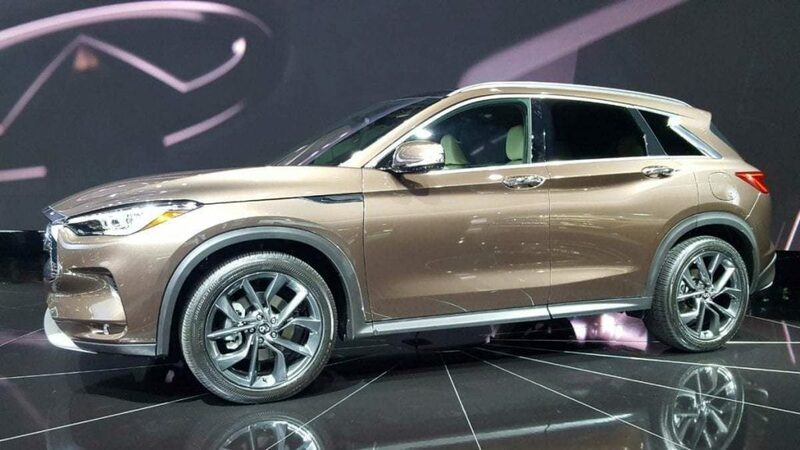 For us, we’ve been dubbed as the green show, because automakers and other technology companies like to bring vehicles, hybrid vehicles, and so the complexion of the show is changing severely. Because again, of us being in California, us being in Los Angeles where the consumer market cares about that… the same thing with luxury, same thing with technology. We have our most’s, and everybody else has their most’s, and so it’s just a really great way to continue the conversation. Tom Smith: Sorry. For instance, that’s the kind of thing we’ll take out. Let’s talk numbers. You mentioned 25,000 attendees for the media, and industry portion of the LA Auto Show, which is LA AutoMobility. Lefty Tsironis: Or AutoMobility LA. Yeah. Tom Smith: I got your name right. Tom Smith: How does that compare to, does it compare, is there anything similar in some of these other shows? Not just CES, but Frankfort, or Tokyo, or Detroit? Lefty Tsironis: Here, and everyone has a fair share to engage with consumers, and earned media, and unveiled products, and so on, and so forth. Lefty Tsironis: And if you look at our own trajectory before 2006, you had I believe the number was for those press and trade days as we called them before 2007, around 8500 people that were coming to the event. Lefty Tsironis: Let’s add a design competition, and evolve it, and a top 10 startups competition. Were really competing with ourselves, and not looking at competing with anyone else. Lefty Tsironis: To be quite honest with you. Tom Smith: Don’t know? Okay. Now let’s talk about the show itself. The consumer side of the show, the LA Auto Show. Tom Smith: What are the numbers of attendees there? Because I’m pretty sure they’re rather staggering. Tom Smith: You’re not going to get a specific number? Lefty Tsironis: You’re not getting a specific number. A lot of different media outlets have published numbers from several years ago, but we don’t publish our numbers. Lefty Tsironis: Yeah. Folks that make several recommendations over the course of the year on which car to buy, or lease, or which car to not buy or lease. Tom Smith: Is that a social media thing? Tom Smith: Uncle Joe’s a shouter. Lefty Tsironis: He’s a shouter. 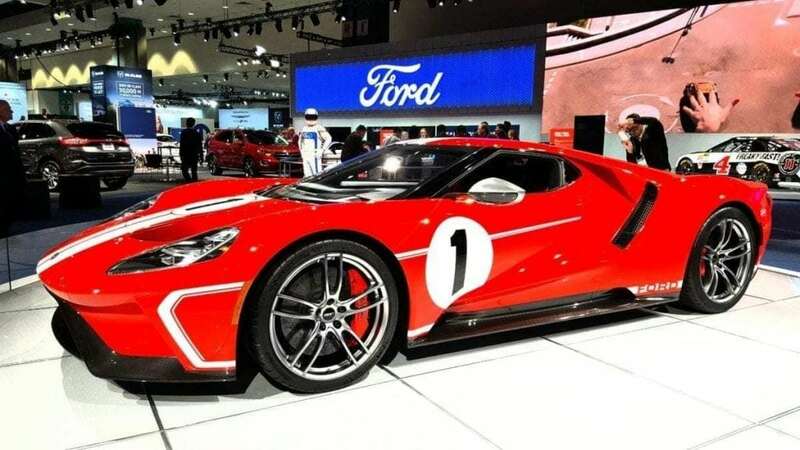 Lefty Tsironis: That’s what they measure, and that’s really the extra added value power of coming to an auto show and participating in an auto show if you’re an automaker or any brand that wants to engage a consumer in a very discerning market like Los Angeles where trends begin. Where brands refashion themselves and where the [inaudible]… become Madonnas. So it’s really, that’s the power of the auto show. Then from a consideration standpoint attendees at the show add to their consideration list by 38%, after attending the show, and/or remove from their consideration, I believe that number was 13% last year. Lefty Tsironis: It’s really influential to actually come to the event, and a lot of people don’t come to shop, they just come to experience. Our time last year was an average of five hours spent per attendee, which is pretty astounding. Lefty Tsironis: She needs her alone time? Lefty Tsironis: You can bring her with you next time, or at least you can part ways and meet for lunch at the show. Tom Smith: She doesn’t have the patience to watch me go around, and every nook and cranny. Lefty Tsironis: [crosstalk 00:22:01]. Yeah. Tom Smith: Yeah. I think I’ve spent five hours and not gotten quite through everything. With that in mind, what does this year show have in store for us? Lefty Tsironis: Every single year and everybody’s one-upping themselves in terms of providing a more profound sort of activation, engagement point because people understand authenticity’s really important, not people, but brands understand, because they’re acting more like people, they got to be super authentic. Lefty Tsironis: Not only at the booths but also in dedicated areas within the atrium’s of the show, you’re going to be able of course test drive more than a 100 different vehicles around the entire Convention Center. We have tours, and tracks, and whatnot. There are experiences that are being brought by different brands in terms of things that you can win or shareable moments. 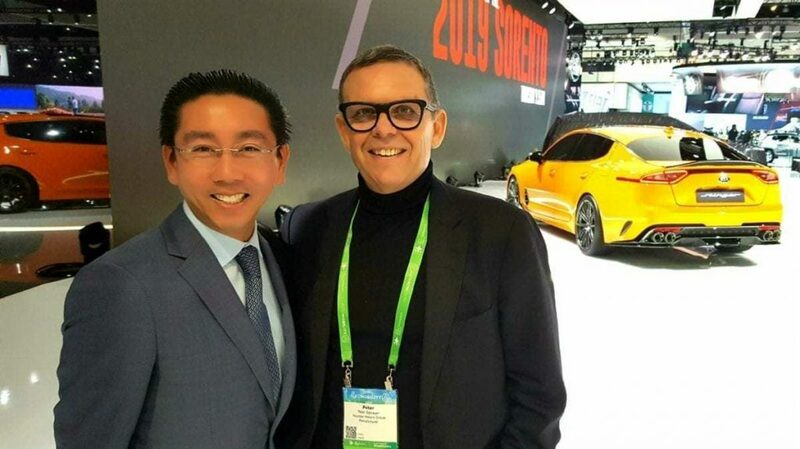 Tom Smith: Holiday shopping, while… touring the LA Auto Show? Lefty Tsironis: It’s been done in the past. Yeah. Lefty Tsironis: that you might be able to bring. There’s always an art element at the show that’s woven into a lot of the exhibits this year, but stay tuned, visit LAAutoShow.com for the latest updates on what’s happening this year. 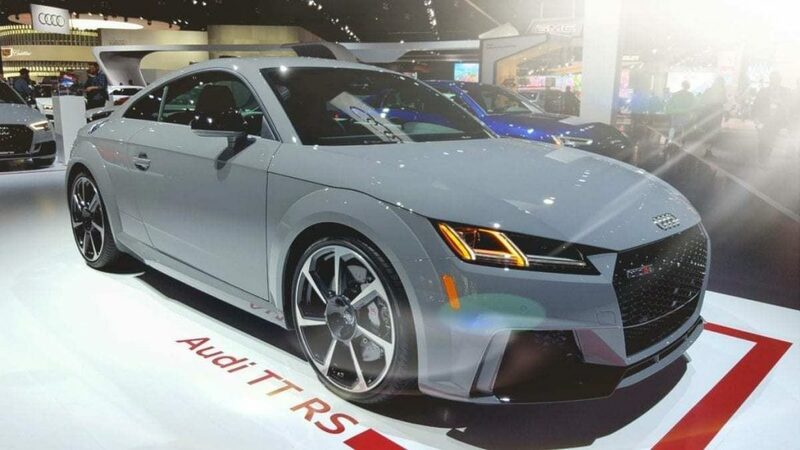 Tom Smith: Real quick, let’s drop again, the LA Auto Show is happening November 30th through December 9th. Lefty Tsironis: The AutoMobility LA event is November 26th through the 29th. Tom Smith: Okay. Now, I think we covered everything pretty well. But I want to give you the opportunity to touch on anything before we talk about what the futures going to look like. Lefty Tsironis: I think we’re good. I mean, just from having been an Angeleno my whole life, it’s really exciting to see the complexion of this show changing from a content standpoint, A. B, being able to see so many hybrid, electric, all fuel vehicles really taking space in everybody’s exhibits. A lot of automakers have been making testaments that by 2020, 2022, depending on which automaker it is, they’re going to have electric versions or hybrid versions of their entire line up. Lefty Tsironis: Again, as being someone born and raised in Southern California, perhaps some stereotypical, I care about the environment. And MPG, and all that is really important just seeing that being delivered is really exciting, and you can get a lot of posts on social media. You can get a lot of emails that you don’t have time to get to. Lefty Tsironis: Fleet of the lineup of a specific automaker, or a brand. Just watching that sort of pivot is exciting from an Angeleno standpoint, I would say. Lefty Tsironis: Green and tech. Yeah. I would say. Lefty Tsironis: Yes, and no. Lefty Tsironis: Because when we talk about technology, we talk about autonomy and connectivity. Lefty Tsironis: ACES. A-C-E-S. Yeah. Autonomy, connectivity, electrification, and sharing. Lefty Tsironis: It’s really rad to see more than just green innovation, electrification, and whatnot, because we’ve had a stage where you’ve had the CEO’s of Intel, of Lyft, of Panasonic, of Waymo take the stage and actually talk about the future of mobility. That’s pretty impressive. We really have set a new sort of precedent, and you’ve seen the German’s, you’ve seen Detroit, you’ve seen others try to follow suit with their own articulations to address this. Emulation is flattery, and it’s also necessary because you know you’re doing something right if other sort of leaders from around the world are doing something similar. The conversation has to keep going. Lefty Tsironis: You can’t wait an entire year, and so that segues into our conversation about the future. Lefty Tsironis: I think a big opportunity here is not only being, at least for us there’s so much news that it’s coming through the platform of AutoMobility LA. 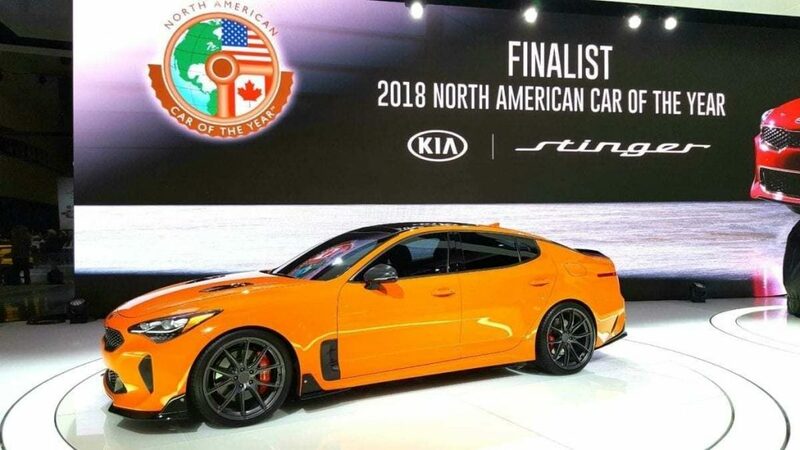 And the LA Auto Show that we really have an opportunity to partner with more of these technology companies, and automakers in getting the word out. Creating engaging experience’s year round, that can mean digital delivery of it, or that can be an experiential delivery with different popup events. Nothings been set, but we have big dreams here, because we have to continuously innovate and have conversations with various stakeholders on how do you continue to be part of the conversation in people’s lives, real consumers lives over the course of the year. 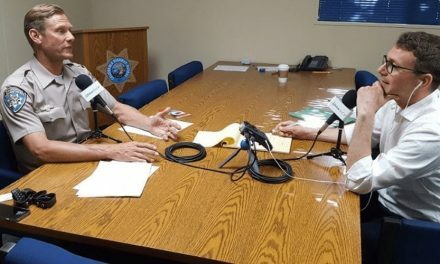 Tom Smith: A peek behind the curtain for this year’s show, can you let us know anything special that we might not have heard about that we can break right here on iDriveSoCal? Lefty Tsironis: I would probably lose my job. If I share too much, all I can say is it’s always an exciting show because literally everything, every square foot of that show is different year after year. The best way to find out is to attend the show. Tom Smith: The show, again, is let’s drop the dates one more time. Lefty Tsironis: Again, AutoMobility LA will be November 26th through the 29th. 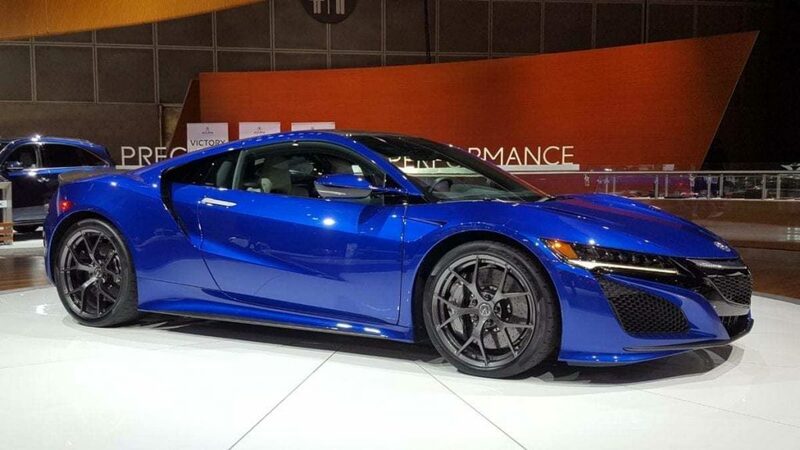 The Los Angeles Auto Show will be open to consumers and the general public November 30th through December 9th. Tom Smith: Give me guided tours. Lefty Tsironis: Yeah. Absolutely. There’s absolutely tours. Lefty Tsironis: You might as well have a guided tour. Tom Smith: Galpin has their own hall this year? Lefty Tsironis: For the past few years. Lefty Tsironis: It’s really great. You get to see some throwback vehicles. You get to see some of their latest sort of designs. Galpin Auto Sports. 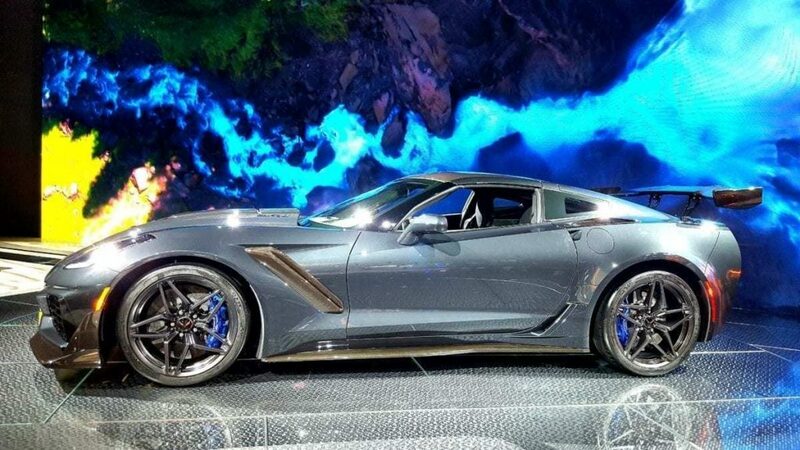 2018 LA Auto Show – Not to Be Missed! Lefty Tsironis: Down in the garage you have Dub, and several others that are making their mark, so you’ll be able to see that at the show as well. Tom Smith: All right. Excellent. Anything you’d like to add before we wrap it up? 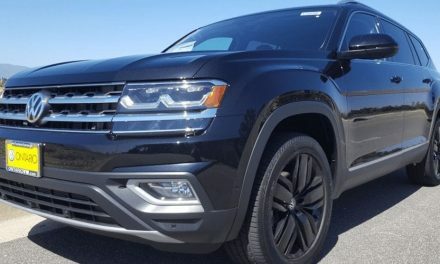 Lefty Tsironis: Just we encourage you to check out the latest news in terms of AutoMobility LA on AutoMobilityla.com. You can also check out our podcast, as well after listening to yours, Tom. From the LA Auto Show standpoint, we welcome everyone to come down, come to surprise yourself even if you’re not looking for a car, and you’re looking to have a good time, we’re easily accessible. Lefty Tsironis: Thanks so much. Tom Smith: For joining me. Tom Smith: I really appreciate it. Lefty Tsironis: We really do as well.